Hara, Gyuri & Jiyoung shall be the female models for Cosmetic Brand "Nature Republic" . Nature Republic revealed: "Nature Republic is a famous brand at Asia and we're becoming a style icon. Because of that we have to choose the model who have their cute and adorable attraction". KARA's 3 members are the model of Korea brand while JYJ & Jang Geunsuk are the models of Japan brand. Tomorrow (2011.06.03), 3 members shall officially start their exclusive acitivities with Nature Republic by a shoot at Studio. But, why only 3 of them?uhu.. Anyway, I'll be waiting for their photo shoot..
Did hammie and nicole's schedule conflict with the modeling? No idea why they weren't included as I'm sure HamCole fits the description of "cute and adorable attraction". i agree. this is great news for the 3 and obviously will bring more attention to KARA as a whole, but what about nicole and hammie? KARA’s Gyuri, Hara, and Jiyoung have all signed an exclusive one year contract with cosmetics brand, “Nature Republic“, to become their latest models! The trio will be promoting in Japan, Thailand, and Singapore. They’ll be kicking off their endorsement activities with a new studio photoshoot on the 3rd for a natural skincare and toner line. so they aren't allowed to endorse another brand? if so, hope the rewards are high. not sure how accurate this is but gyulharajing will be promoting (travelling) around in the region. oh gosh, please make it happen! why only 3 members? how about Hammie and Nicole? wowowo I can't wait for their photo next. "cute and adorable attraction" ?? okey..but where are cute Sueng Yeon and adorable Nicole?? well, it just means that the company thinks that the 3 members fit the brand image the most...it happens in other idol groups too, like for example only sulli, krystal and victoria endorsed a jeans brand in fx. maybe they can only choose 3 members only..as jyj also 3 members LOL..Anyway congrats to the gals..Looking forward to see them promoting in singapore if it is true..i hope it is..Hwaiting! isnt that pic back from lupin? and i can't wait to see the promo pics! Congrats to the three for their endorsement deal, but of course people are going to question the absence of SeungYeon and Nicole, especially since all of their cosmetic endorsements have been as a group, with the exception that Hara did one on her own before. I too question this choice, but like many have said, it's either the brand's choice or other reasons that we as fans will not know unless informed. I just hope that SeungYeon and Nicole's absence from this is due to scheduling conflict or that they have something else lined up for the two. They should know by now that anything that they do will be under a microscope, especially after the dispute. The inclusion and/or absence of certain members will be carefully watched and will be questioned, and valid answers will need to be given. i found it quite weird, that only 3 of them were doing it, KARA is 5 and they should have all been together on this. Gyuri, Hara, and Jiyoung are the ones with recent modeling experiences as they were the exclusive models of KARAYA for more than a year now (? )...and perhaps that may be the other reason. Let's not forget that SY and Nicole did not want to be part of KARAYA and therefore were perhaps not elligible for this? I don't know but that seems to be my understanding for the reason why these 3 were only selected. Congratulations to the 3 girls for this endorsement. The company made the right choice on hiring this girls to be their spokesperson. Look at this 3 aren't they just gorgeous?! I have no concern regarding Ham and Cole not included on this (of course it would be fab if the 5 of them do this together) I really believe that it's both of their choices that they are not interested in modeling. Looking forward to their promo shoots. Thanks Yoo-nim for sharing. YAYYY!!! im so excited for this!!! idk why everyone is worrying about who does what . 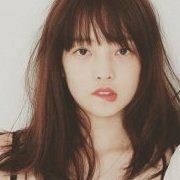 imo its a given that Hara will be involved in most advertisements for Kara...Gyuri and Jiyoung also fit the image for a cosmetic company better imo. When i think of SY I don't think of cosmetics, and when i think of Nicole i think about how she uses make-up to feel prettier, as a sort of mask....thats not really wht companies are going for . Also, the image of those two is probably still a bit shaky for the public, so it's safer to go with GHJ only. besides, its really good business move on DSP's part because SY and Nicole can also sign another or two different exclusive cosmetics contracts also, which promotes Kara even more. Also like ppl have said, they did karaya, which is pretty successful so obviously ppl will buy what these three endorse....thats not as proven with nicole and SY. Cant wait for these photos!!! wow this is a huge step and opportunity for the girls! too bad HamCole are not going to be a part of this but i think as someone said before me that the absence of them might come for a million diferent reasons! but i guess we ought not to be paranoic bout this! Maybe HamCole will do some other promo activity or maybe they just dont want to be part of this project! who knows? only them! Bit come on people lets caaaaaaalm down lol we trust in KARA don't we? Edited June 3, 2011 by BlackSwordsWoman! oh ! i can't wait to see their new photos! hope they are enjoying their work! fighting KARA and hope they can work as five next time!